More news than you can shake a stick at regarding today’s Nintendo Direct, THQ Nordic acquires another studio, and Three Fields Entertainment showoff their Burnout-like title Dangerous Driving. Valentine’s Day might not be until tomorrow but Nintendo seems to be stealing our hearts with today’s action packed Nintendo Direct. Let’s start with the first thing shown, a simple Mario level in the Super Mario World format. It doesn’t take too long for you to figure out this is a Mario Maker level and before you know it, Super Mario Maker 2 graces the screen. The sequel will be exclusively for the Nintendo Switch and judging from the trailer it appears to support touch controls in some capacity. Plenty of new features can be seen in the trailer such as slopes, clouds carrying items, and even the Cat suit. The good news is we’re not too far away from Mario Maker 2’s June release. We get another look at Marvel Ultimate Alliance 3 and the game seems to be shaping up quite well. Four-player support can be done either locally (with four systems) or online. The gameplay looks a lot more action focused and thus the camera can be brought up closer to see what’s going on. A set date has not been announced but Marvel Ultimate Alliance 3 is scheduled to launch in the Summer of this year. Hal Laboratories is bringing the Box Boy series to the Switch for the first time. With Box Boy + Box Girl, two-players can solve puzzles together. Completing the main story will allow access to another adventure with the tall box Qudy. All in all, there are over 270 stages to conquer when this title releases on April 26th. How about some good and great news? The good, a big 3.0 update for Super Smash Bros. Ultimate is coming this Spring. The even better part is Nintendo did not take 30 minutes explaining all the changes that will be in the new update. All kidding aside, Nintendo is quiet on what will be in the 3.0 version but we do know that the first DLC character, Joker from Persona 5, will be available by the end of April. Still showing some love for Toad, a free update for Captain Toad’s Treasure Tracker is available today. The update makes all courses available to play with two-players. That’s not all the good news for the title as Nintendo also announced paid DLC that will be arriving very soon. Captain Toad Treasure Tracker Special Episode packs 18 new challenges in five new courses and even some new discoveries on existing courses. The paid DLC can be purchased today and you’ll have access to the first new course. The remaining DLC will launch in full on March 14th. After having the Wii U version cancelled and taking quite a bit of time in development, Bloodstained: Ritual of the Night is set to launch later this Summer on the Switch. 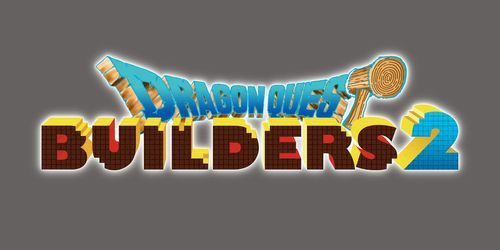 Build to your heart’s consent when Dragon Quest Builders 2 launches this Summer. Rebuild an island and enlist help from villagers or get three other friends either locally or online to fight, craft, and build the island as you see fit. Dragon Quest Builders 2 launches on July 12th for the Switch along with the PS4. You didn’t think they would be able to fit it all in that tiny cartridge, did ya? Dragon Quest XI: Echos of an Elusive Age S - Definitive Edition is set to launch for the Switch later this Fall. The entire game is here along with the option to play in a retro 16-bit 2D mode, new sound options, and the ability to choose between Japanese and English voice-overs. New stories will be available for the members of the main party, giving players coming back to the game some fresh content. Mario Party but with Disney characters? Maybe not quite but Disney TSUM TSUM Festival has plenty of mini-games to keep you busy. Look for this one later this year. A new update for Starlink: Battle for Atlas on the Switch has three members of Star Wolf up to no good. Pigma, Leon, and Andrew are not playing nice so who better than Falco, Peppy, and Slippy to oppose them? Each of the three members of Star Fox has their own abilities so try each one out to see which one fits you best. You’ll even be able to take Falco, Peppy, and Slippy on Fox’s missions should you choose. This new update hits in April. A mix between the farming and town interaction of Harvest Moon and action RPG gameplay, Rune Factory 4 Special is a remastered version of the title coming to the Switch later this year. For those curious on another entry in the series, Nintendo confirms that Rune Factory 5 is currently in development. The developers of I am Setsuna and Lost Sphere bring a unique Action RPG where players must rescue lost souls before they become monsters. Of course, rescuing these lost souls allows for unique abilities during battles. Set in a realm where grieving for loved ones is forbidden and doing so causes those to become lost, Oninaki could be a unique title when it launches for the Switch later this Summer. Another look at Yoshi’s Crafted World shows off action on planes, boats, and cars. Yoshi will be able to don crafted costumes purchased from in-game coins that can help protect Yoshi from harm. A demo for Yoshi’s Crafted World is available today so why not give it a try? If not, you’ll have to wait until the full game launches on March 29th. Touted as the main game from the Direct, Fire Emblem: Three Houses looks to continue the great tradition of the series. You’ll play as a character who becomes a teach in the Officer’s Academy in the Garrag Mach Monestary, conveniently in the middle of Fodlan separating three different factions. It is here in the Academy that you’ll encounter various students and three heirs, one of each to the three factions controlling the land. It will be a mix of training students for the battlefield, teaching them to pass their tests, and even going into battle as well. There is likely more to talk about but for now, you’ll have to wait until July 26th when the game launches on the Switch. This is a little later than the intended Spring release window but July is not too far off. Battle royale game are the rage these days and why not have a game centered around one of the most iconic puzzlers of all time. Tetris 99 is the classic Tetris that you know but played online against 98 other players. Better make sure your skills are up to the challenge if you want to win. Tetris 99 is available to download and free to start for Nintendo Online subscribers. Evade the threat or become a victim in Dead by Daylight, heading to the Switch this Fall. Remember that Undertale “spin-off”, Deltarune? That experience is coming to the Nintendo Switch on February 28th for free on the e-Shop. The short announcement also confirms that while Chapter 1 of Deltarune is no charge, additional chapters in development will have a price tag on them. Big robots and fast action makes Daemon X Machina a title to keep an eye out for the Switch. The great news is that starting today, a free demo for the game titled Daemon X Machina: Prototype Missions gives you a taste of the action early with four missions and a big boss battle to engage in.. The developers are looking for feedback so be sure to share your experience. Feel the need for some racing? GRID Autosport is launching for the Switch this Summer with previously released DLC and custom controls. The acclaimed Hellblade; Senua’s Sacrifice is making its way to the Nintendo Switch later this Spring. Forget that Nintendo heavily censored the original Mortal Kombat on the SNES, Mortal Kombat 11 will launch for the Switch on April 23rd in all its bloody glory. Unravel Two was a surprise launch at E3 last year but one system was noticeably missing from that launch, the Switch. That appears to be corrected when Unravel Two released for the Switch on March 22nd. Not just confined to the bigger consoles, Assassin’s Creed III Remastered launches for the Switch on May 21st. A triple bit of Final Fantasy news is here! Rejoice fans, Final Fantasy VII finally comes to the Switch on March 26th. But don’t forget about Chocobo’s Mystery Dungeon EVERY BUDDY! which launches a few days earlier on March 20th. But what about the present? Final Fantasy IX is available today for the Switch. Final Fantasy IX is also available today on the Xbox One. Is this going 2B a hit? How do you follow up on a classic like NieR; Automata? To be honest, we’re not sure but it looks like Platinum Games has a promising one in Astral Chain. With an anime look in both the graphics and setting, we see gameplay that really strikes back to Bayonetta and NieR: Automata. Your character is chained to another and looks to really factor into strikes and combos. We’ll have to wait for more of Astral Chain when it launches for the Switch on August 30th this year. As for Nintendo’s final game for the Direct, fans wanting a Metroid Prime Trilogy are going to be disappointed as that was NOT announced at the end of the video. Rather Zelda fans might be ecstatic to hear that the classic Game Boy title, The Legend of Zelda: Link’s Awakening, is being remastered for the Switch. What we see are visuals that are close to the Link Between Worlds title on the 3DS but cleaned up dramatically. As per the original title, this will be a 2D game with a top down view although all the objects are modeled in 3D. The Legend of Zelda: Link’s Awakening launches later this year in 2019 and we’re sure to see and hear more details at E3. Today’s Nintendo Direct was packed with plenty of big games and surprises. Things we did not hear about are the new Pokemon title for the Switch and the Animal Crossing game in development. Perhaps another Nintendo Direct in the next few months will shed light on one or possibly both titles. Koch Media/THQ Nordic might have some deep pockets as they keep rounding up IPs and developers. Today, it was announced that THQ Nordic has acquired Kingdom Come: Deliverance developer Warhorse Studios. The acquisition also includes all IPs owned by the studio, meaning THQ Nordic has added another franchise to its portfolio. Composed of ex-Burnout developers, Three Fields Entertainment has had mixed results with Danger Zone and Dangerous Golf. But it seems the team is getting back to their roots literally with the new trailer for Dangerous Driving. If this doesn’t look like classic Burnout we’re not sure what does. Will it capture the feeling of the old franchise? Players can find out on April 9th when Dangerous Driving launches for the PS4, Xbox One, and PC via the Epic Games Store.